Introduction Enjoy an elevated view of life! Sit down by the balcony. Coffee cup in one hand and your pen in another. Our studio gives you the perfect space to spend some time alone and rejuvenate yourself. Studio can only accommodate 2 people. 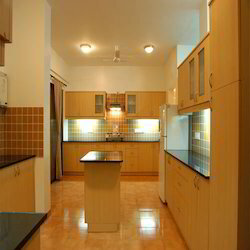 Apartment rooms in Hinjawadi are well furnished with all Kitchen gadgets, Fridge, Micro Oven to prepare liking food. And all amenities complementary breakfast , wifi.If guests Stay exceeds more than 3 days Airport transfers complimentary.24 hours Wi-Fi internet. Season Residences present premium luxury residences amid exquisite landscaping that innovatively uses the water and green element to bring unmatched beauty, peace and harmony to the lives of its residents.Some of the finest minds have gone into planning the retreat features by syncing the natural elements to your apartment and recreational spaces.Your very own private retreat. Come and Indulge! Porwal Regalia - Kharadi 1, 2 & 3 BHK Apartments & Commercial SpacesCommercial Spaces – 43Offices – 43Area size – 300 sq.ft. to 600 sq.ft. Iprass service apartments are professionally designed to provide accommodation for corporate guest. We have a service apartment located in Baner Which is well furnished with all rooms having attached toilet. all rooms with AC, WI-FI and Lcd with cable connection. stand alone building with lift, A/c Bedrooms, complimentary Internet Wifi, home style food, centraly located in Hadapsar near to magarpatta city, public conveyence easily available. Full power back up. Seasons mall, Amanora mall in close distance.